Experience ultimate bedtime luxury with this stunning range of 200 thread count polycotton percale bedding. 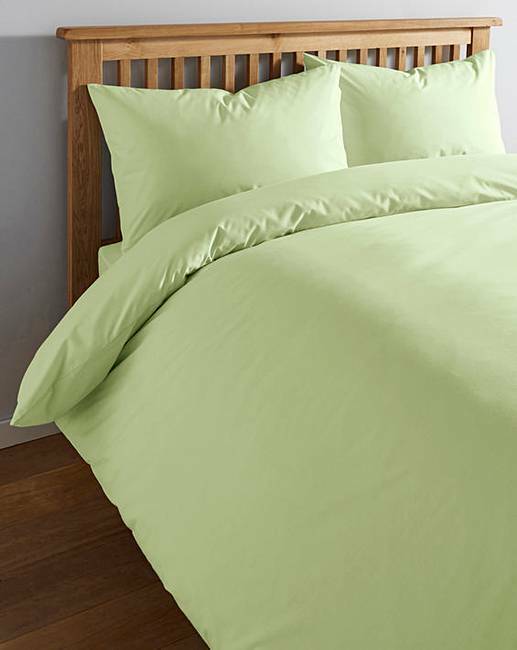 Available in a range of colours and complete with clever minimum-iron finish, the duvet cover has been specially designed to help you take care of your bedlinen for years to come. This premium quality, affordable bedlinen boasts a gorgeous, durable fabric that requires little to no ironing, sparing you more time for the more important things in life. Co-ordinating products available to purchase separately, including matching pillowcases. Pack contains 1 x Duvet Cover. Single 135 x 200cm. Double 200 x 200cm. King 230 x 220cm. Super King 260 x 220cm.